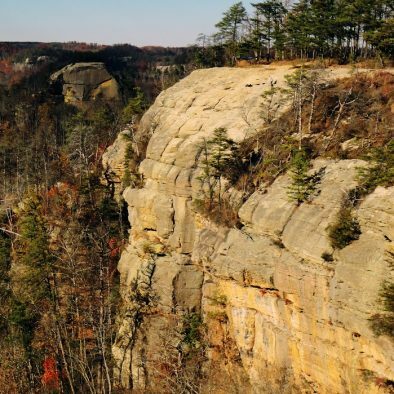 Imagine a day of adventure in the Red River Gorge or Natural Bridge State Park. 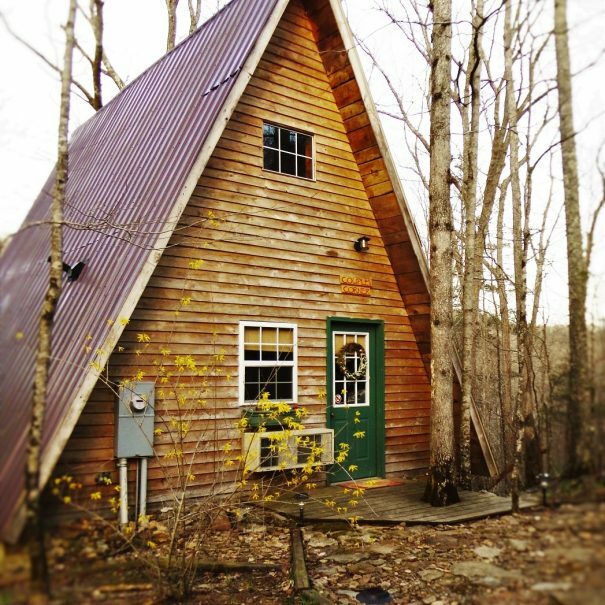 By the day's end, you'll be thrilled at having a cozy cabin rental to go home to. Red River Outdoors takes pride in providing you with a clean and quality lodging experience, centrally located to all of the area attractions. 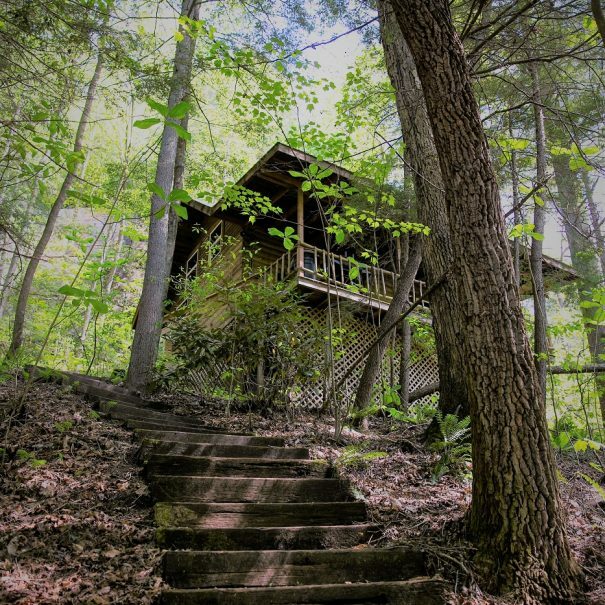 With our 2 locations; from a beautiful wooded setting, to hearing the rush of a spring waterfall, our Red River Gorge cabins are vacation rentals that will make your visit a memorable one. All of our cabins are privately owned and maintained. We hope that you enjoy visiting our home! 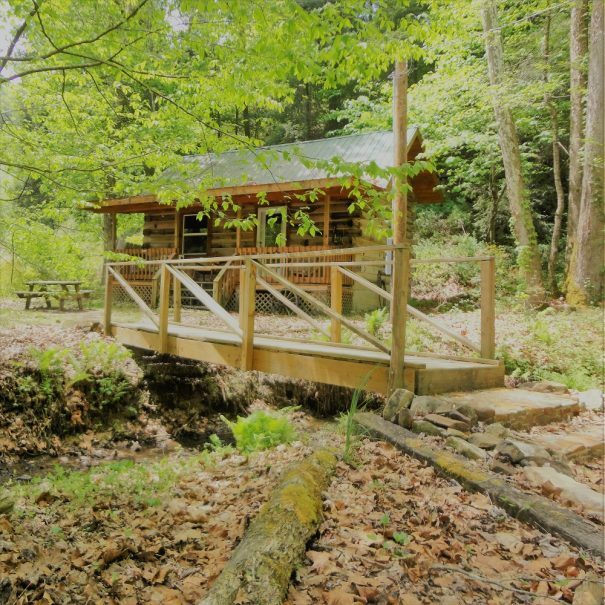 Choose from our two cabin locations; Hemlock Trails or Torrent Falls. 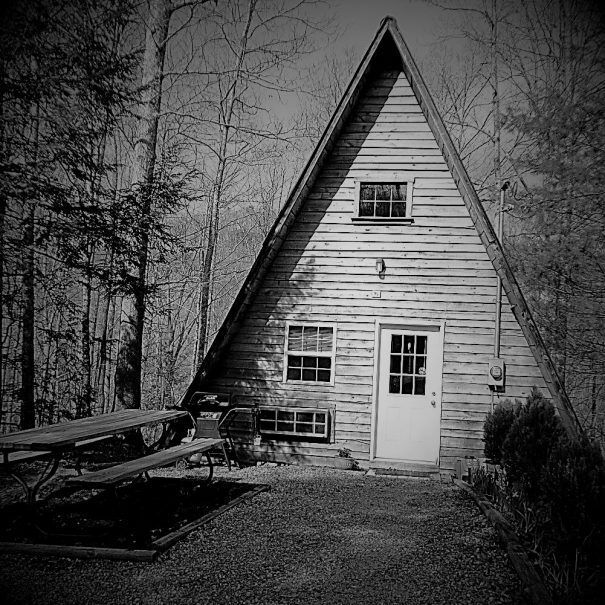 Maximum occupancy / 2 - 4 people Our Hemlock Trail A-Frame Cabins are located about 1 mile from the entrance of Natural Bridge State Park on Natural Bridge Road (Hwy 11). 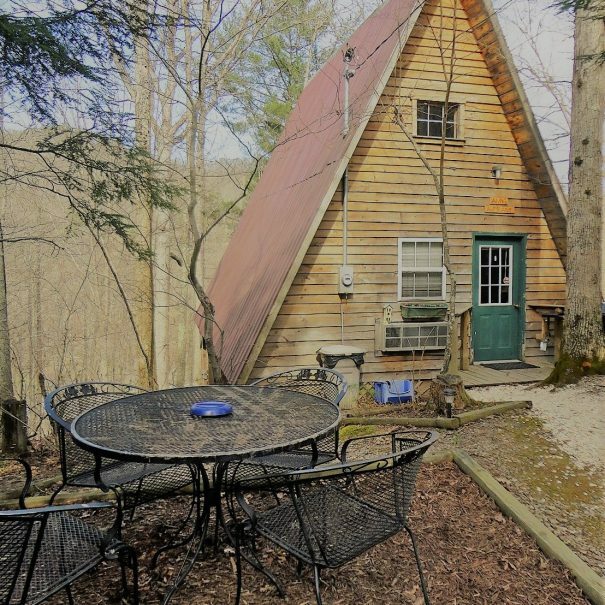 These cabins are built along a ridge-line, nestled among our 86 private wooded acres with over 4 miles of trails, ponds, creeks, a cliff line amphitheater, and wildlife. Double Click on an Image Below to Learn More About Each Cabin. Or scroll down to see a multi-unit availability calendar. Maximum occupancy / 6 people Torrent Falls has a long and colorful history in the Red River Gorge. Once home to the Adena Indians; they lived, farmed and hunted the land. In more recent history, the L. Park Hotel was built in 1890. This one of a kind landmark once boasted a suspended stage, a boardwalk dance floor, and an orchestra in the amphitheater. 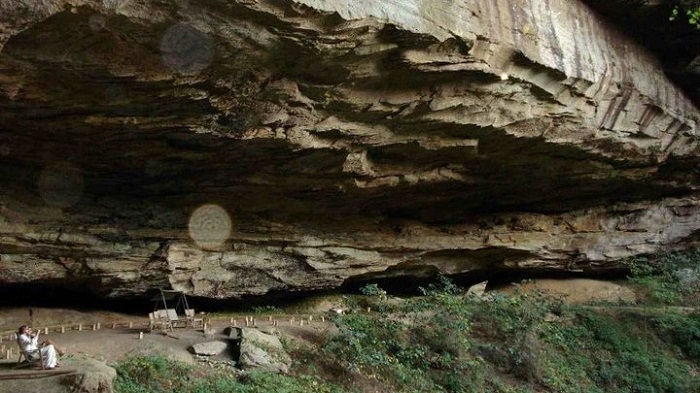 Now, Torrent Falls has cabins for rent in the Red River Gorge. 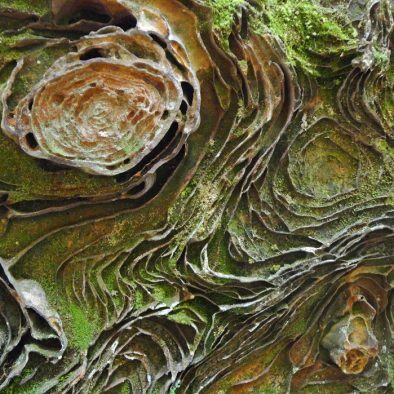 Torrent Falls is home to one of Kentucky's tallest seasonal waterfalls and world class rock climbing out your front door. It is a beautiful way to spend a vacation. Do you know which dates you would like to stay? Click on a date below to be redirected to our secure online booking platform. If your travel dates fall on a turnover day, contact us and let us know your desired dates. We will see if we can make availability. Please, no single night requests. We are a locally owned and operated family business and love where we live. We know that it is important for you to have a quality lodging experience when you visit the area to enjoy your favorite outdoor activities. That is why we have combined our love of the outdoors with affordable, clean and comfortable vacation cabin rentals. 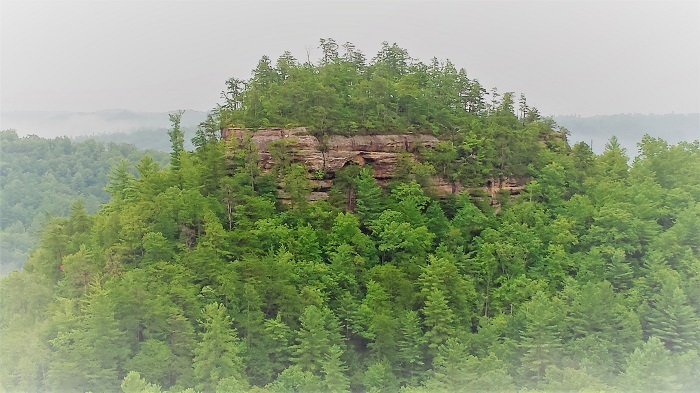 We are located within minutes of the beauty and wonders of Kentucky's Red River Gorge, Natural Bridge State Park, Daniel Boone National Forest, Sheltowee Trace Trail, P.M.R.P., Miller Fork and Muir Valley. When staying with us, you can enjoy a variety of other activities. We are your base-camp to adventure. 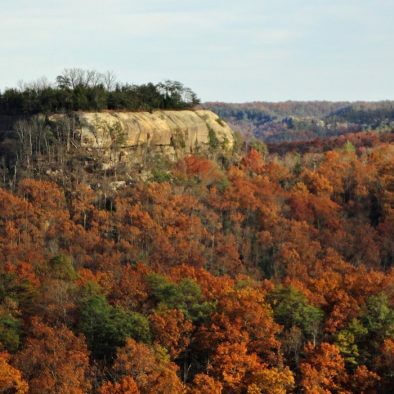 We are the home of the oldest established guide service in The Red River Gorge. If you are feeling adventurous, follow the link below to see what awaits you in The Red. While you are visiting the area, drop in for a yoga class or pamper yourself with an acupuncture or massage treatment. 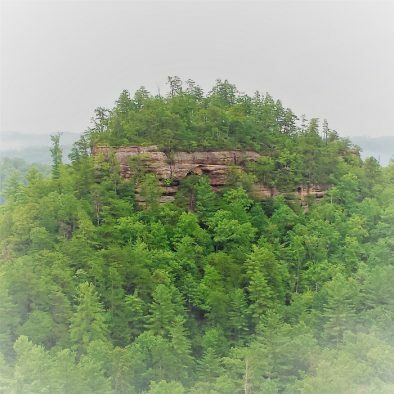 Red River Gorge Natural Health Center is located on the Red River Outdoors property in Slade, KY.
All of our cabins are located in the heart of the The Red River Gorge. 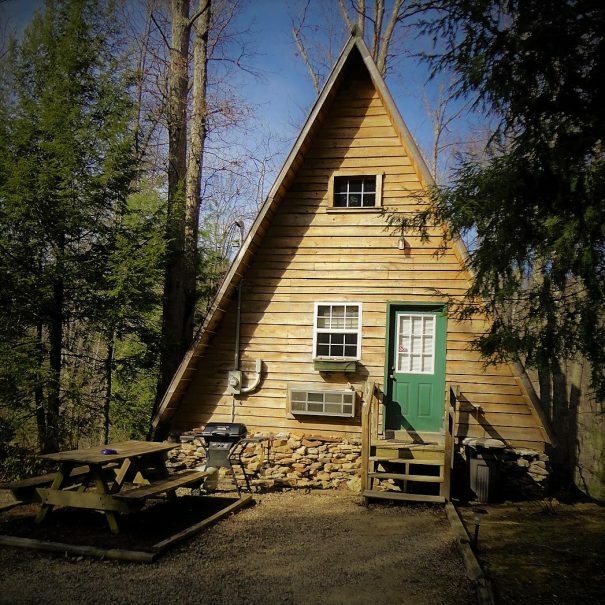 Our A-Frame cabins are approximately 1 mile from the entrance of Natural Bridge State Park. 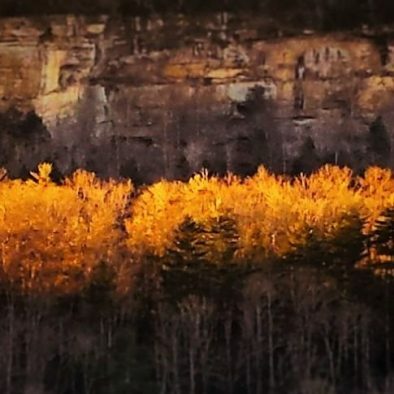 Our Torrent Falls cabins are located 7 miles south, off of exit 33 on Natural Bridge Rd (Hwy. 11). Stay in any of our cabins and get access to the historic Torrent Falls property. 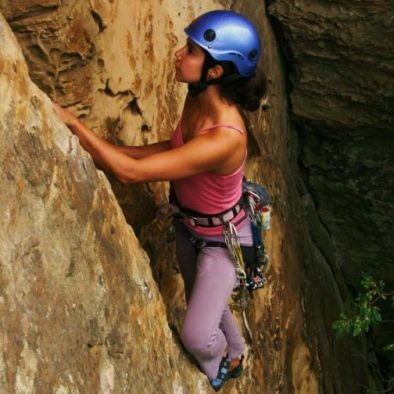 * You and your cabin guests can enjoy world class climbing without the crowds at the crag, or take a short hike to enjoy the seasonal waterfall. *You Must sign an access liability waiver form to be on the property. Private events at Torrent Falls will restrict access for Hemlock Trail cabin guests. Access to the general public is through registration only. Click on the link below to lean more. 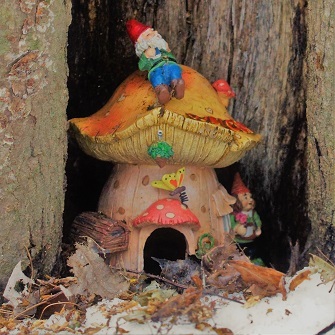 Please do not contact us about access if you are not a cabin guest. As fellow travelers we know how important it is to find a wonderful place to call home when on the road. From creature comforts to complete convenience, we have created a cabin rental company with you in mind. What a great trip and an amazing set of cabins! 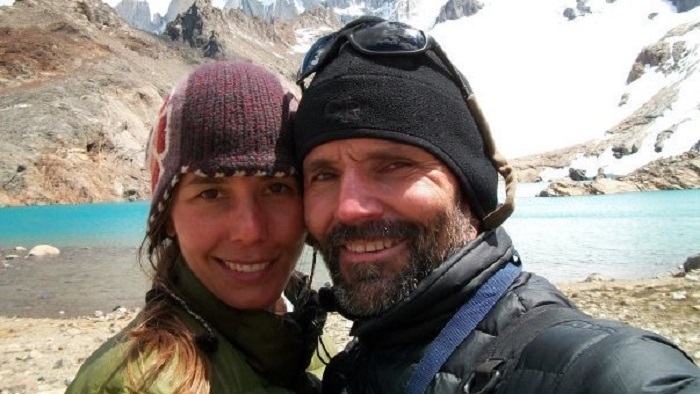 It felt like Wendy and Craig were simply inviting us into their home. The grounds are well kept. The cabins are very clean. 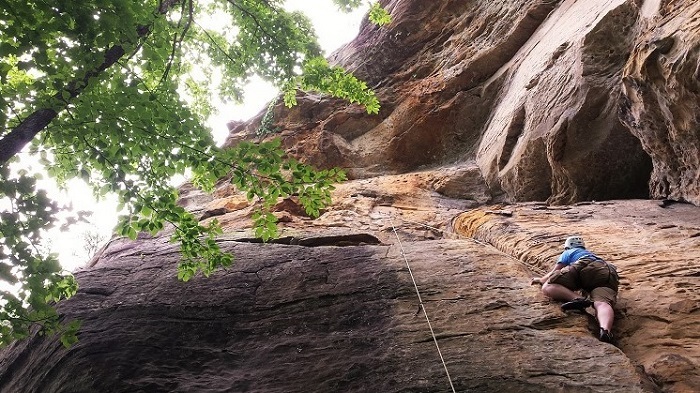 Stay in any of our cabins and book a guided trip from the oldest guide service in the Red River Gorge, Red River Gorge Guides. Reserve your trip in advance to secure your spot. 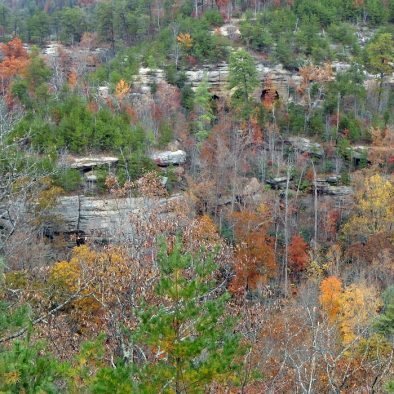 Are you looking to stay in the Red River Gorge for an extended period of time? We offer discounts for stays 7+ nights. Message us for a discount code. 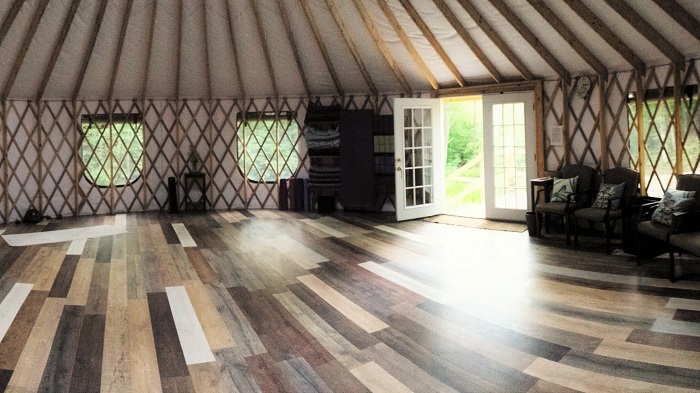 Create a personal health retreat by adding in a private yoga class, joining in a drop in class or scheduling an acupuncture treatment. Please make an appointment in advance. We have you sign all of your rental agreements in advance so there is no need to check in at an office to get your keys. 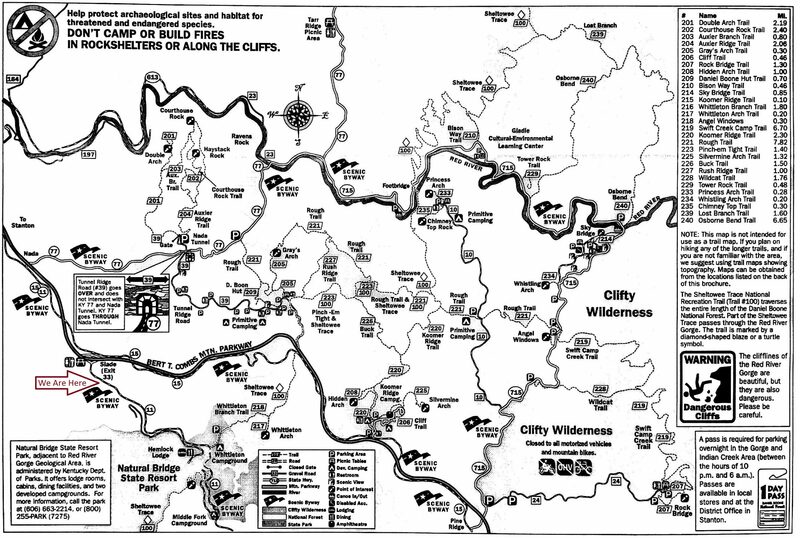 We will send you detailed directions to your cabin the week before your arrival, so you do not get lost. There is no need to bring sheets from home. We provide you with fresh clean sheets. We are located about 1 hour East of Lexington Airport, and 2 hours from Louisville. Use our online booking system to securely make a reservation. Step out your front door and be surrounded by the sights and sounds of nature.